The 1.625" Fancy Monogram Address Stamp is a round self-inking rubber return address stamper with a lot of flair. This original design features a beautiful script font in the center with your initials. Surrounding this is your complete address and last name. 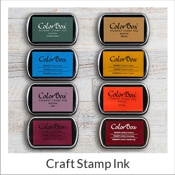 The size, style and color of this stamp are completely customizable by you. Choose your favorite combinations from the drop down menus below. When everything looks exactly like you want, click Add To Cart to move to checkout. All of our products are made by hand in the USA. Order today, ships the next business day. 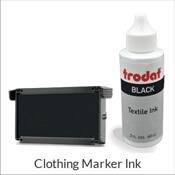 Our self-inking monogram stamps are top quality by Trodat. 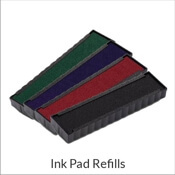 They are rigorously tested for thousands of crisp, clean impressions. 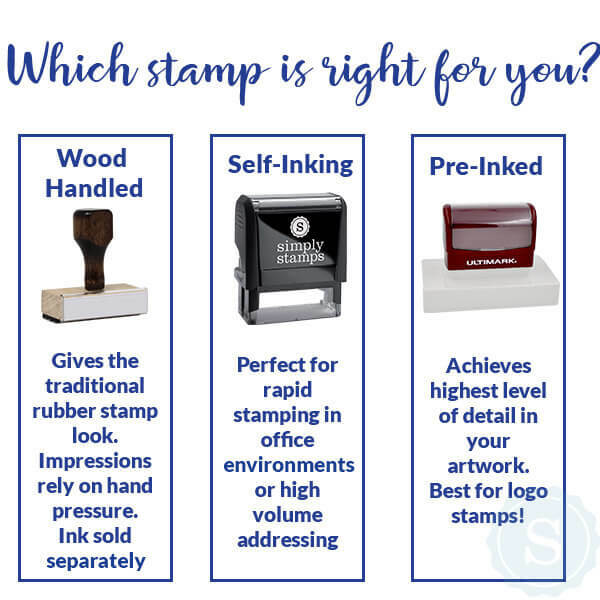 Every stamp comes with a handy label on the top for easy identification. They come inked up and ready to stamp. 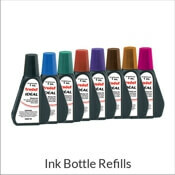 They are easily re-inkable when the time comes. 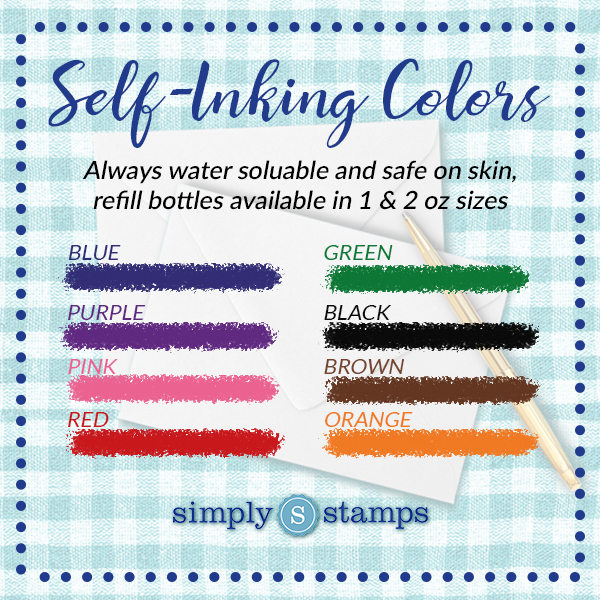 We even have a video to show you how easy it is re-ink your stamp. Most commonly monogram stamps feature the first initial and middle initial on either side of the middle last name initial. However, in the case of wedding monogrammed gifts, the brides first name initial goes on the left, the grooms first name initial goes on the right and the married last name initial goes in the center.